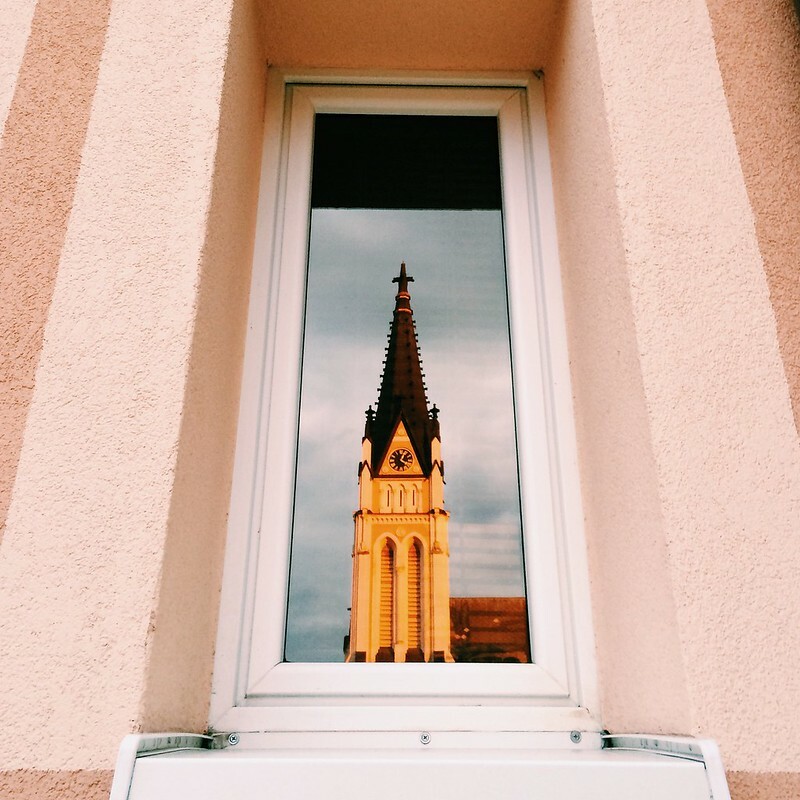 One of the great joys of working with Josiah Venture is being part of seeing lives changed, especially among the youth of Central and Eastern Europe. The above video was created for our annual conference back in September and it’s one that has always stuck out to me from the first time I saw it. 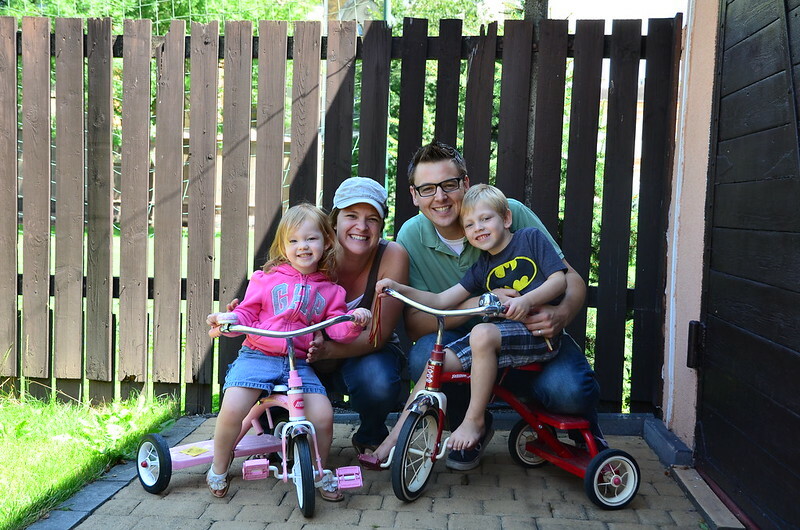 This girl is from Slovenia, a spiritually dark country, and her short testimony is one that’s full of life and joy. I find myself often quoting this video because there’s a line where she says, “I love love stories” that has always stuck out to me. More than anything it’s the heart of a teenage girl putting the pieces together in her mind of God’s love for her. She sees it as a love story and that’s exactly what it is. I do not ask for these only, but also for those who will believe in me through their word, 21 that they may all be one, just as you, Father, are in me, and I in you, that they also may be in us, so that the world may believe that you have sent me. 22 The glory that you have given me I have given to them, that they may be one even as we are one, 23 I in them and you in me, that they may become perfectly one, so that the world may know that you sent me and loved them even as you loved me. 24 Father, I desire that they also, whom you have given me, may be with me where I am, to see my glory that you have given me because you loved me before the foundation of the world. 25 O righteous Father, even though the world does not know you, I know you, and these know that you have sent me. 26 I made known to them your name, and I will continue to make it known, that the love with which you have loved me may be in them, and I in them. I’ve bolded the word “love” for emphasis. Verse 23 is so clear: God the Father loves Christians the way He loves Christ. I say Christians because it’s clear from verse 20 that this is about “those who will believe in me…” That’s the context and those are the people of whom Jesus is praying. One of the most famous passages in the Bible says the same thing. John 3:16 says “For God so loved the world, that he gave his only Son, that whoever believes in him should not perish but have eternal life.” There’s no doubt about it–it’s a love story. Mostly tonight I’m just thankful to be part of that love story. Not only did God show His love toward me by saving me, but He continues to pour out his love of many all over the world. Like the young girl from Slovenia, Christ continues to transform lives and change hearts in a way only He can do. 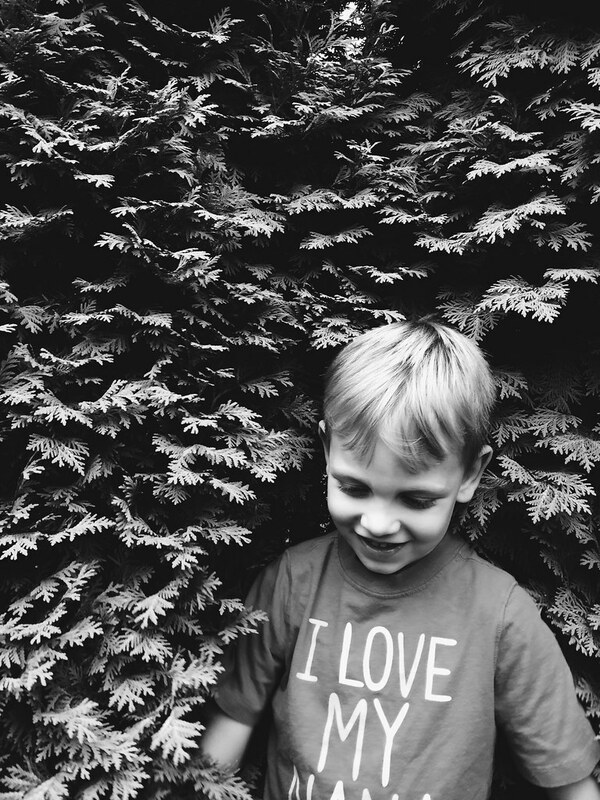 It’s that great love that compels me forward daily and gives hope for the future. It was beautiful day in Czech. The weather was amazing, not too hot and not too cold, and the sun was out. Bethany went to Poland this morning with a friend to do some shopping there so I took the kids for a walk to the park. There were a lot of people out jut walking and I could see many of them carrying shopping bags, including one couple that was carrying a little table and chair they had just purchased. Although, I’m not exactly sure where everyone was doing all of this shopping? Above is a photo of a building next to the park. I think I take photos of the buildings to remind myself how amazing some of this old architecture is. Do you see anything familiar in the photo above? 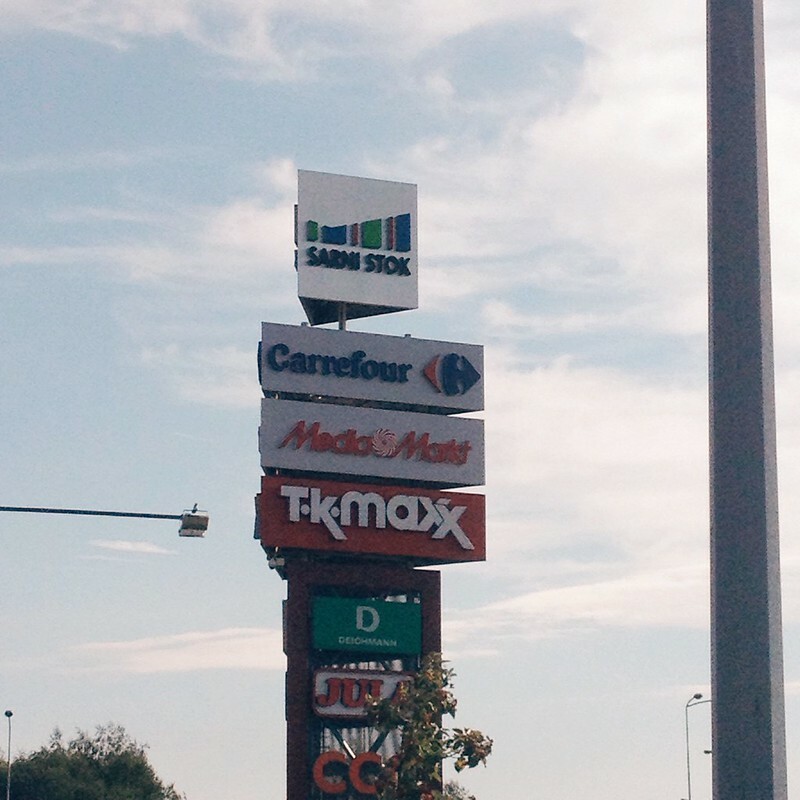 You ever heard of “TK Maxx?” Now I’m sure you’ve seen “TJ Maxx,” but in Poland they call it “TK” and it’s the exact same store we have in the States but with a different name. Apparently there’s another brand in Poland with the name “TJ” so they didn’t want to be confused so they changed the “J” to a “K.” That’s where Bethany went this morning and did a little shopping. She got some great deals on winter clothes for the kids and a nice, small purse for herself. A lot of women wear smaller long strap purses as opposed to a hand bag. Some of that is for security, I guess, and a lot of ladies have recommended she get one too. I’m glad she was able to take the morning off and just enjoy some shopping. Below is a video I took of Titus at the park. I had never seen him do this until today but he’s figured out how to pitch to himself. This is both amazing and depressing to me. Amazing because I didn’t know a 4-year-old could do that and depressing because I don’t know if he’ll still need me to pitch to him anymore! A few weeks back we had seen that there were a few tree stumps left in the ground and that they had removed a couple larger trees. I was definitely confused by this until today when I realized what became of those stumps (photos above). 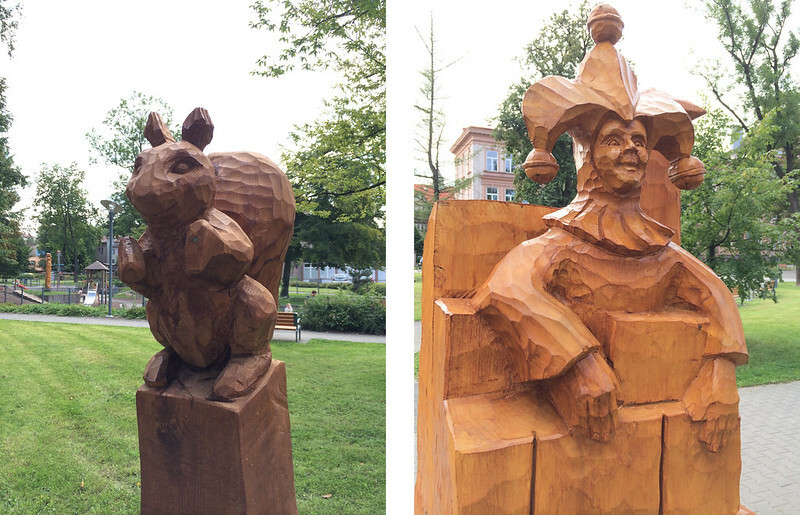 Now standing beside the park is a wood carved jester, a squirrel, and what I believe to be a large snail (not pictured because it creeped me out a little). I don’t know if they are permanent installations or for something else, but they are pretty good size and I guess a mystery solved regarding those trees. As I write Bethany is baking fresh bread in the kitchen. I joked that we’ve “gone full on Czech” with Bethany baking bread because they love fresh bread here. She’s making white bread I think mostly because she misses it. They have lots of different kinds of bread here, but I feel like everything we’ve tried has a distinct sourdough type taste to it. We probably haven’t exhausted our options but Bethany had yeast and dough so she’s giving it a try. It looked really yummy as it was rising in the bowl (photo below) and I hope it turns out great. People told us it would happen. They said the first Wednesday of the month at around noon you would hear a loud alarm. After talking to Bethany neither of us could remember where were on July 2nd which was the first Wednesday that month, but then I checked the blog and we were actually in Poland that day. That makes sense because even the most jet lagged person on the planet wouldn’t be able to sleep through or forget this noise. And thanks to modern technology we can share the wonders of this amazing sound with all of you through video. Consider yourself warned (pun intended). The speakers for this warning system are literally across the street from us on top of the fire station. It’s the kind of sound that blankets your entire body. There’s no escaping it. Thankfully it only last for about a minute or so. To be honest, even though I’ve asked I still haven’t really gotten a straight answer as to what exactly it is. Some other missionaries from the mid-west are used to that kind of noise because of tornado warnings but us West Coast kids just didn’t grow up with any kind of public warning system. The only warning we got growing up is “Hey! We’re having an earthquake!” Which now that I think about it, why didn’t they just let me sleep through it! This morning I had an early, but short meeting with Dave Patty. He was preparing to teach at a reunion event for leaders at Malenovice which is a hotel/camp center/training center that is owned by Josiah Venture. 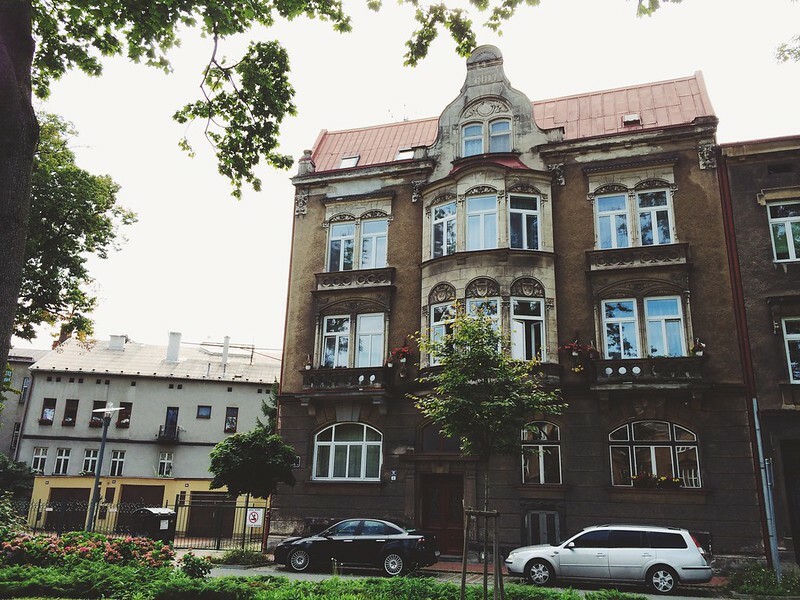 Malenovice (pronounced MA-LEN-O-VEE-SEH) was where Bethany and I came and stayed on our first trip to Czech. I hadn’t been back in 3 years and I think I just forgot how incredible the view is from up there. The hotel sits on the side of a mountain overlooking a few different valleys and it’s just breathtaking. I had a moment before Dave was free to chat so I snuck out on the balcony at grabbed a panoramic shot (above). Back at the JV office it was “moving day” so to speak as we changed around most of the offices to accommodate our team. It was a lot of manual labor and moving desks, tables, and bookshelves up and down the stairs, but in the end my team has a bigger space and I think everyone else is happy with their new spaces. 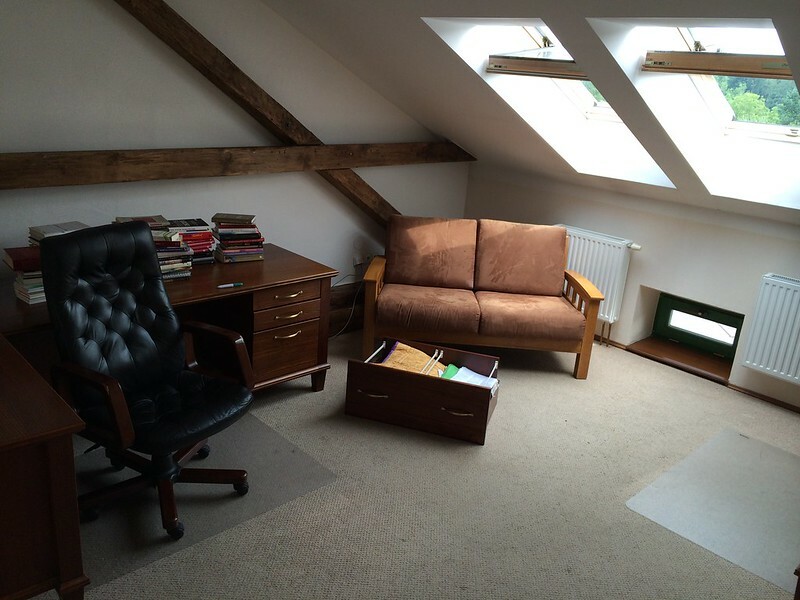 Below is the room we have been working out of which is now Mel’s office and below that is a photo of our new space on the 2nd floor. On the home front Bethany has been working really hard to continue to empty boxes and clean, clean, clean. We had a language lesson this afternoon and when I got home the place looked amazing and Bethany even had lunch waiting for me. Who deserves such a humble, selfless, and sacrificial wife? I sure don’t, but I’m super thankful to the Lord for who she is and how she serves me and the kids. 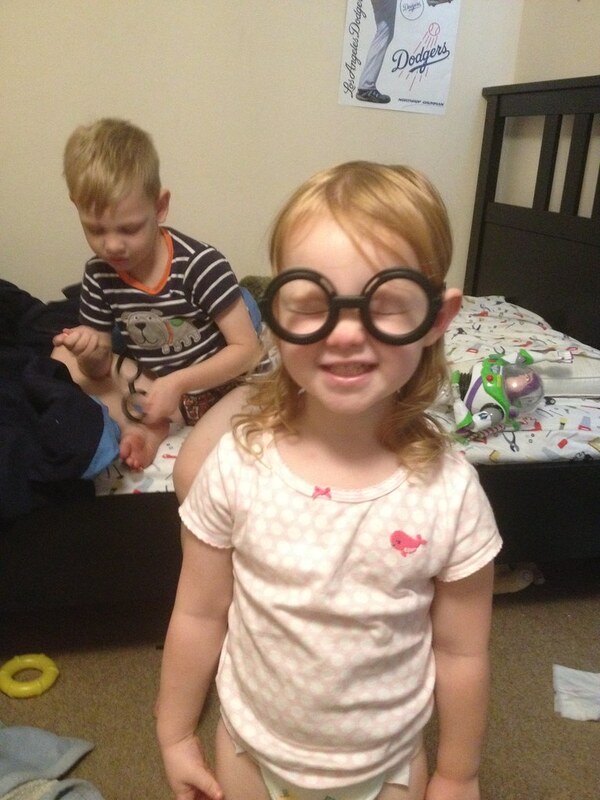 Speaking of the kids, they tried on silly glasses today. They also enjoyed playing in the drying rack. 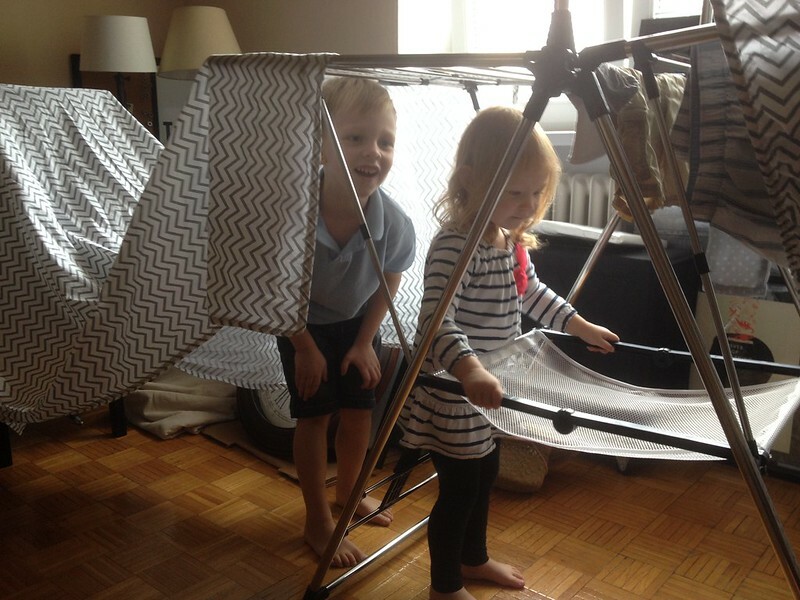 In their minds it’s only a fort and serves no other purpose. Tonight we had our friend and teammate Rachael over from the late afternoon through dinner. Rachael is a joy to be around and you can’t help but enjoy her Northern Irish accent. Bethany and her just spent a lot of time hanging out and chatting but one of things that excites me the most about their time chatting was that Rachael is going to help us get better connected to the youth ministry at our church here. She said there are actually no married couples currently on the youth staff which hopefully means they may have a need there just for some balance to the leadership. The youth meet on Saturday nights at 6pm which isn’t the best for our family, but we’re going to see what we can do to get involved there and what God might have for us. This is really something we have hoped for, prayed for, and our excited about pursuing! Finally, tonight as Titus and I were playing outside the sun peaked through the gray clouds just before sunset. Our place sits right next to a huge Catholic church and the sunlight shown directly on it making it look incredible. I took the photo below of the reflection off of our window. It’s here! It didn’t fall into the Atlantic and amazingly everything was just the way we packed it when it left the United States. Our container arrived today! As our friend Rachael said, “Getting your container is like Christmas, only better because you already know you like the stuff.” She’s right. It was like Christmas and it’s really fun to see all that stuff you painstakingly loaded into the container 48 days ago. What’s hard to believe is just how far our stuff had to travel from Long Beach down through the Panama Canal and up to the German port. 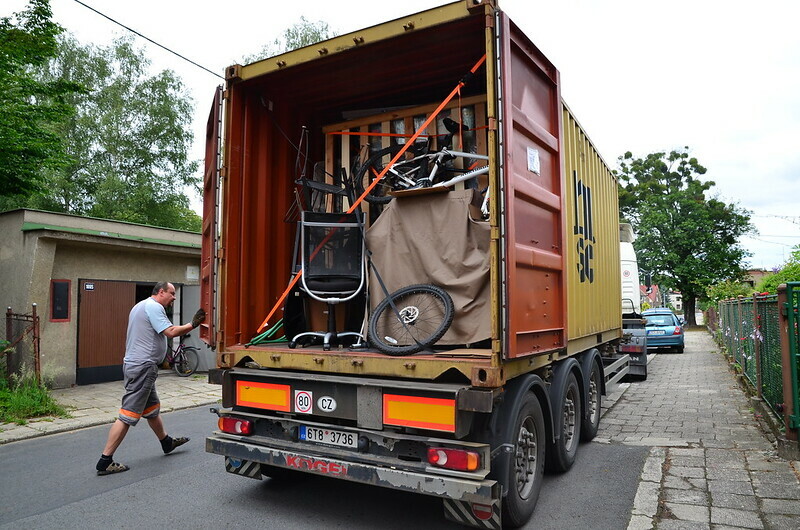 Then it was trucked over to Czech where just this morning we signed the customs documents and they brought our container to our new apartment. We were overwhelmed by the support of the local church here and our friends and teammates from Josiah Venture. I’m especially grateful to Mel Ellenwood who helped us translate for an hour and a half at the customs office and even Connie Patty who took the photos you will see below. So without further delay, here’s the story in photos (captions below each photo). Connie actually caught this picture of the container about 20 minutes before it arrived. This is just down the road from our place. 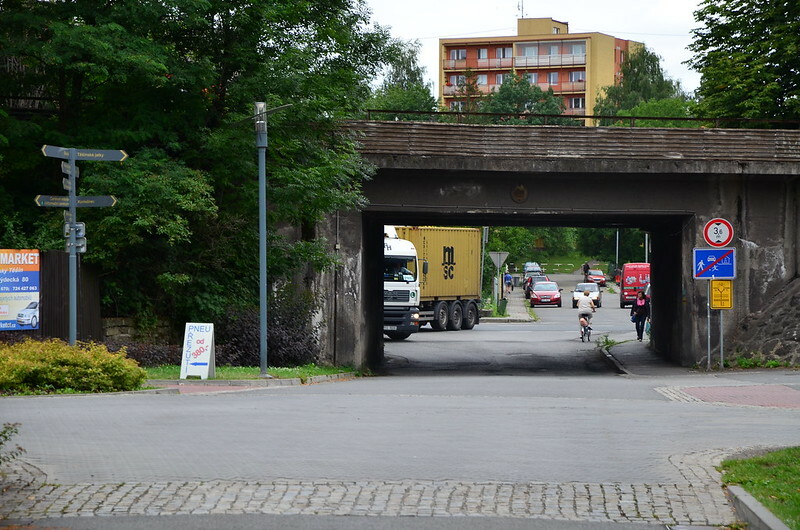 He couldn’t fit under the little train bridge so ended up having to drive the container around some tiny streets just to get it to our place. Bethany was taking care of making sure we had food and refreshments so she was only actually there for the truck’s arrival and departure. There was a sale on boxed milk at the grocery store and the lines were crazy. Bethany said people had multiple carts full of this special milk and so she missed the unloading. 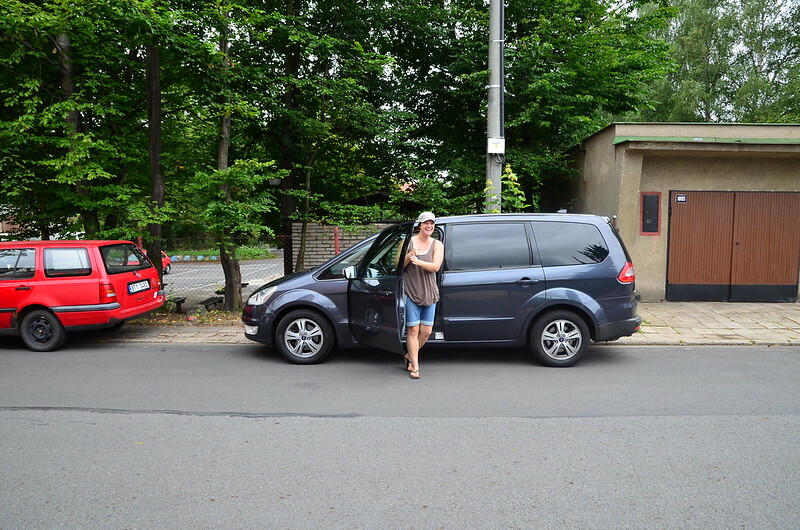 Welcome to Czech, I guess! Here’s what the container looked like right when it was opened. It’s almost identical to what it looked like almost 50 days and thousands of miles before so I was already amazed. Our container had 3 sections which we separated by walls that our friend Justin built when we loaded it. The first section went pretty quick because it wasn’t packed as tightly. This photo is all of us unloading the first wall. 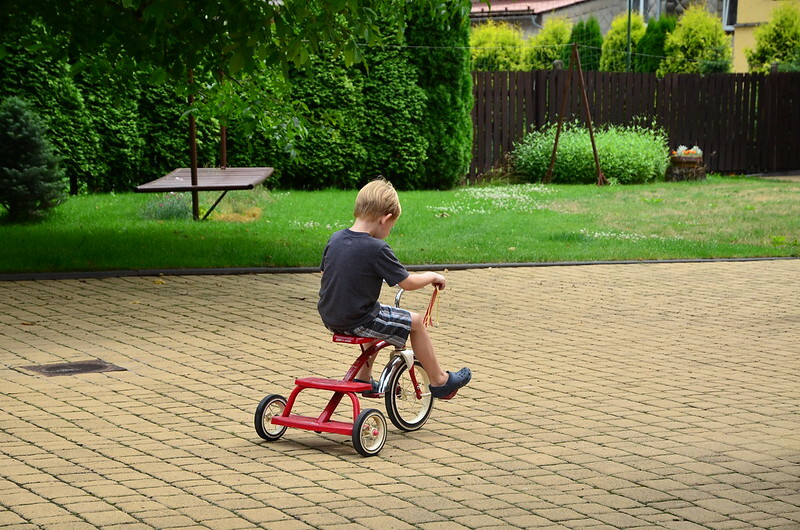 Titus’ tricycle was in the first section and he was so excited to ride it around our little driveway. Here’s Rachael and Mel carrying boxes in. This is Amy muscling a box to the apartment. Everything was color coordinated which hopefully made it easier for people to know where stuff went! The whole unloading took about an hour, and I was on the truck the entire time. 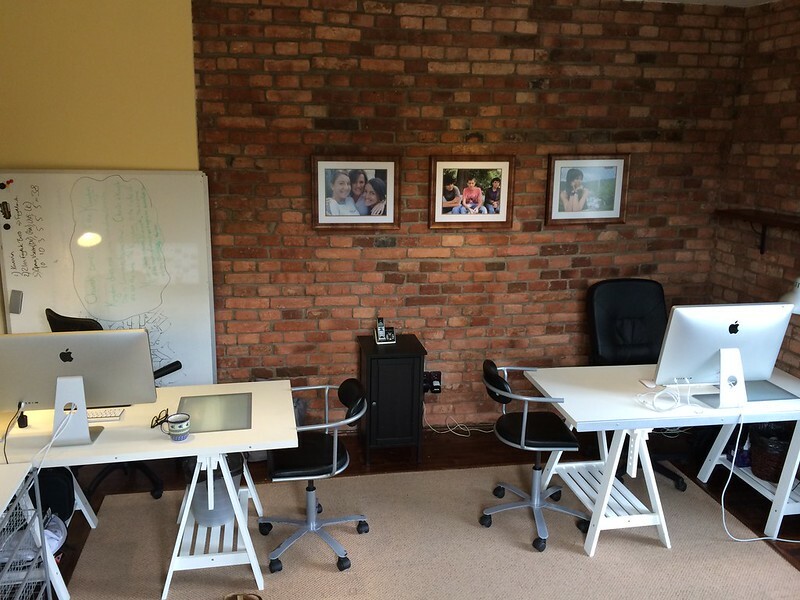 It was incredibly fast and we couldn’t have done it without all the help. This photo is of me helping unload the final box. 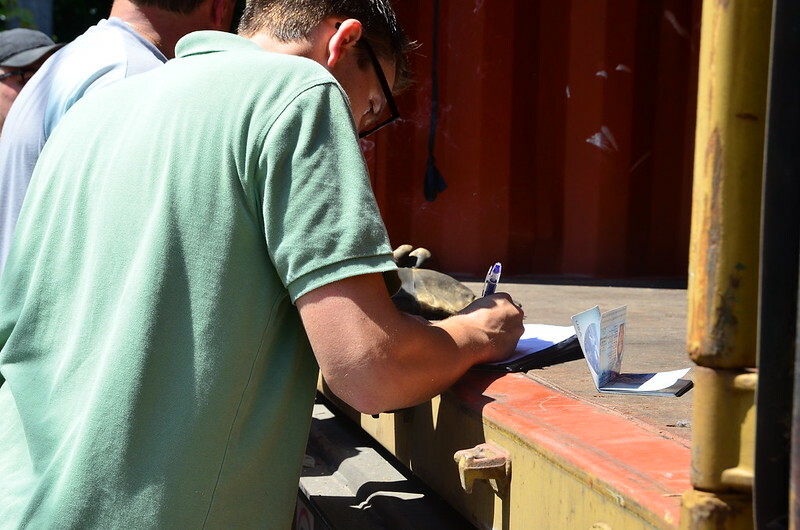 Here’s me signing over the final container paperwork. Pizza for everyone! 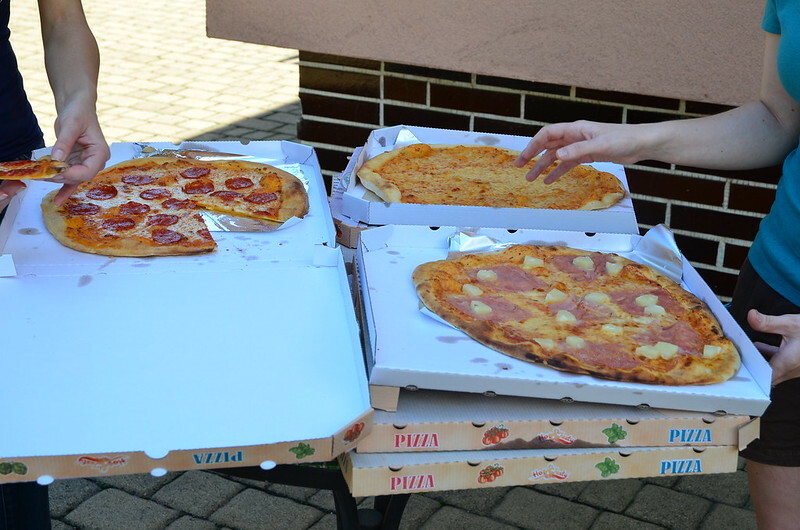 The local pizza shop couldn’t believe we were ordering 10 pizzas. 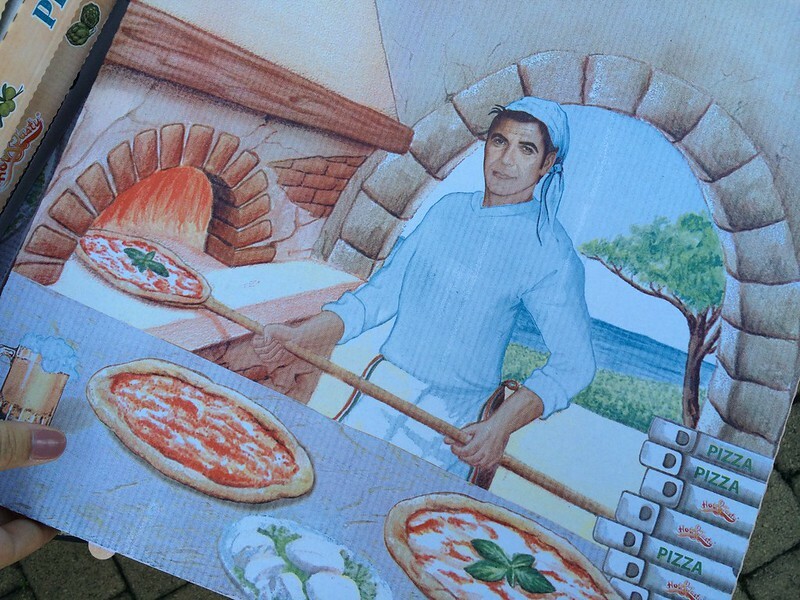 Also, if you’re wondering, George Clooney apparently makes all the pizzas here in Czech. 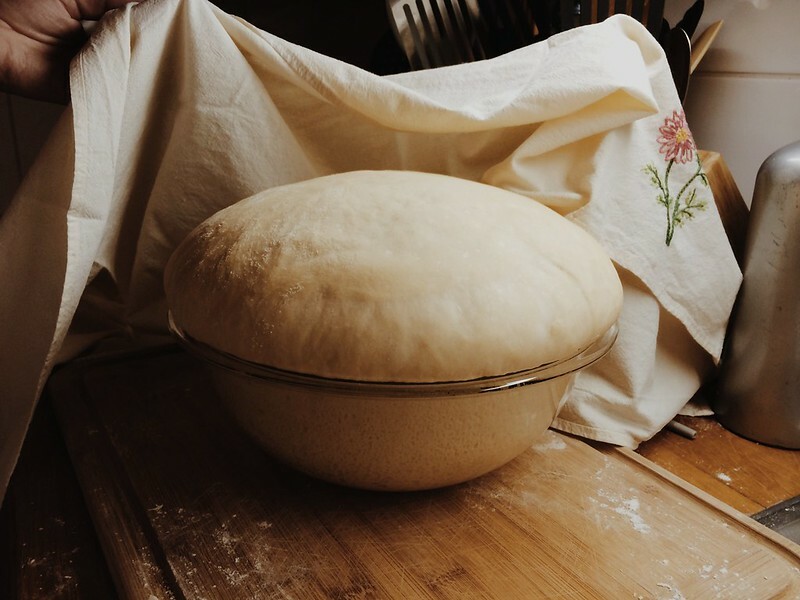 When he’s not making movies, he’s making thin crust goodness! 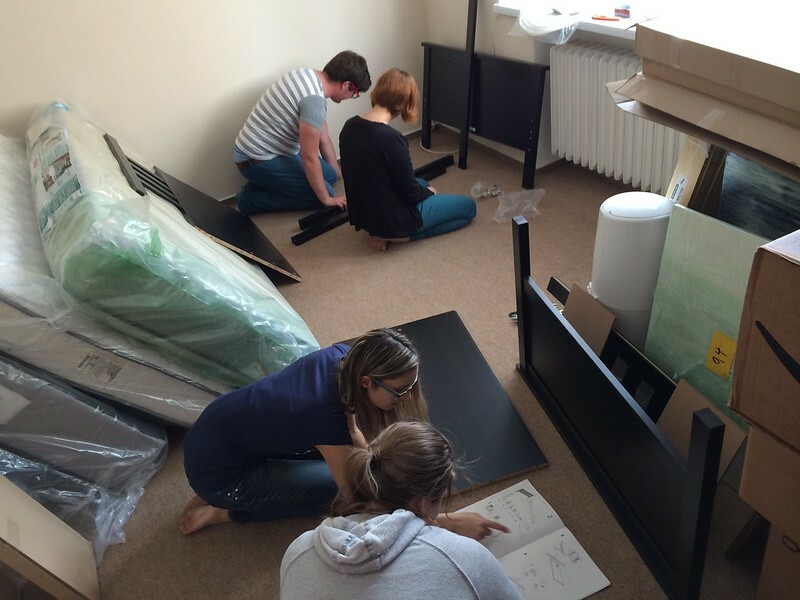 Back in the apartment we had people building the kids new IKEA beds. Such a blessing. And finally a little shot of all of us after we were done unloading. What a great day! The only thing we don’t have photos of is inside our new place and that’s mainly because we didn’t really spend a ton of time unpacking today. The kids were tired and so were we so we made it a shorter day and we’ll head back tomorrow for some serious unpacking of boxes. Finally, this evening we had the joy of having Zach and Kara Zegan over for dessert. They only live about 20 minutes away and we haven’t had time to really catch up with them yet. It was really fun have them and their little dog Hobbes over and just catch up and say hi. It’s really special to serve the Lord alongside your friends. They have been serving at camp all last week and will leave tomorrow for another 11 days of camp. This week is a special week for Josiah Venture as the 1000th camp begins on Saturday. You can see this short video below which gives a piece of the story. 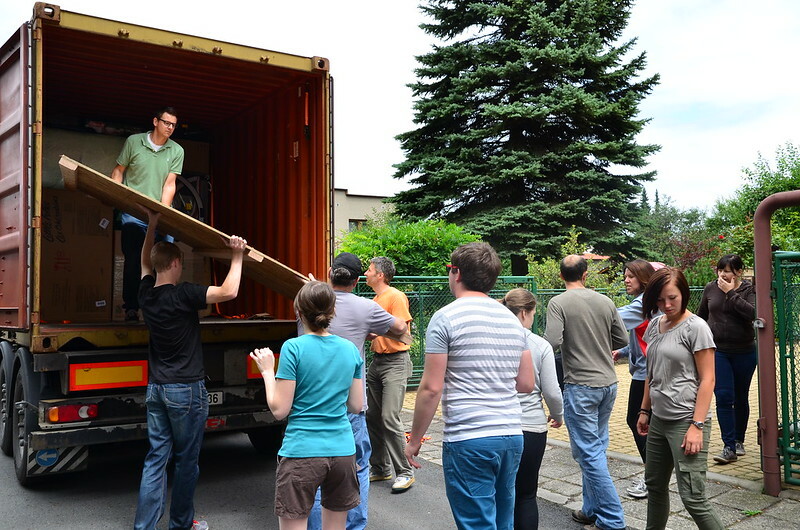 Even while we have big, life changing days in our lives with the arrival of our container, God is doing things in the lives of young people in this part of the world. What a joy to serve the King. To Him be the glory! Our 1000th Camp from Josiah Venture on Vimeo.